1918: The Great War, as it was already known, had reached an inflection point. The course of the war and the future of European civilization now rested on one decision: Would Germany, having prevailed in the East against a Russia crumbling into revolution and chaos, now attempt to crush her British and French foes in one last desperate offensive before the emergent American Army arrives in its overwhelming force? Or could a small band of patriotic Germans led by a Crown Prince and a General use high position and influence to persuade their unyielding leadership to simply declare victory and withdraw homeward, leaving their opponents to justify a continuing and increasingly senseless slaughter? Who Desires Peace…, the first book in The Great War Won trilogy, chronicled the schemes and adventures of the conspirators laying the foundations of their peace offensive. 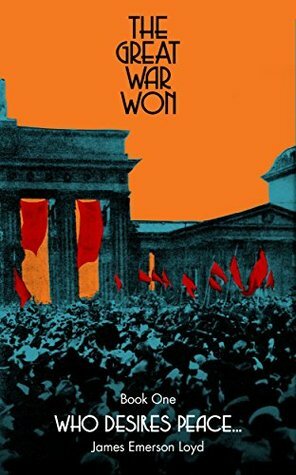 In this Book Two, …Should Prepare for War, their story begins with the historic peace negotiations with Leon Trotsky and the new government of Bolshevik Russia, followed by the unleashing of Germany’s armies as those talks fail. An unexpected plea for help propels a German team into the heart of Saint Petersburg in search of an imprisoned American notable, then several calls for a peaceful resolution to the war prove inconclusive, including an intrepid mission to meet face-to-face with the American General Black Jack Pershing. Finally, the tenuous state of inaction along the Western Front is shattered by first, an unexpected Allied offensive, then a fierce German counterattack stopped only by the extraordinary courage and vigor of the new American Expeditionary Force at Chateau Thierry and Belleau Wood, setting the stage for the final showdown between Germany and America in Book Three, A Power of Recognized Superiority. 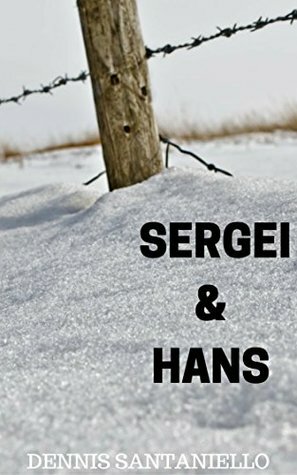 Two WWI soldiers; one German, one Russian and their serendipitous meeting during maneuvers in the beautiful but dangerous winter storms in the Carpathian Mountains. In a series of poignant flashbacks and memories, this tale brings out the depth of character, the changes one endures, the challenging of one’s beliefs under the duress of war and duty. Well crafted and entertaining, Sergei & Hans shows forth the human element midst the dehumanizing machine like precision of armies at war. The author brings the reader along so as to experience the grandeur of the Carpathians while at the same time the utter hopelessness and despair of a POW longing only to be back home. 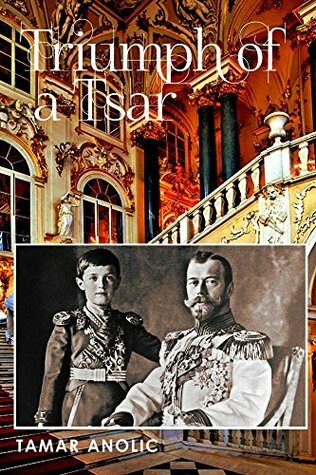 Note: Historical Fiction Reviews received a copy of Triumph of a Tsar in exchange for an honest review. “Triumph of a Tsar” is Tamar’s second novel. She has a history of writing about the Romanovs. Her first book, the nonfiction biography entitled “The Russian Riddle,” was the first biography of Grand Duke Sergei Alexandrovich. In addition, two of her short stories about the Grand Duke Konstantin Konstantinovich and his sons have been published: “Rumors of War” was published in The Copperfield Review in 2017 and “Before the Fire” was published in The Helix in 2018. Tamar’s other works are not about the Romanovs. Her first novel, “The Last Battle,” was published in 2017. Her short story “Dark Night, Bright Sky,” was published in The Sandy River Review in 2018. 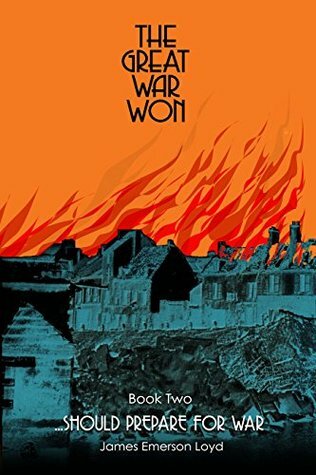 A meticulously researched tale of WW1, The Great War Won is a page turning look at the year 1918 and the behind the scenes machinations of the various powers attempting to end the war. The tale is told mainly through the eyes of a German Intelligence Officer, General Von Treptow, though not exclusively as Britain’s Minister of Munitions, Churchill, and the newly arrived American commander, General Black Jack Pershing are also part of the narrative. The characters are a joy to read; from those in the military to the many civilians involved in the action and suspense. Fast paced action, witty repartee and a historical perspective that delves into the collapse of Russia and the rise of the many Socialist/Bolshevik factions seeking to destroy the world order makes for not only an entertaining read, but an informative one as well. While the plots, subplots, and various twists and turns thereof kept this reader enthralled, I was also taken by the flashbacks to points earlier in the War – the Churchill encounter during The Battle of the Somme is but one fine example of background character development utilized by the author.